Bronson Van Wyck is the owner and operator with partners of the production of fresh citrus and wine grapes in California; and of corn, soybeans, rice and cotton in the Mississippi Delta and Midwest. Van Wyck works with local growers to operate and develop farm properties and to nurture crop marketing relationships with agribusinesses such as Cargill, Bunge, ADM, Riceland Foods, Uncle Ben’s, Safeway, Kroger, Costco, Constellation, Robert Mondavi, E&J Gallo and Walmart. Van Wyck has served for over 10 years on the board of Winrock International, a $100 million nonprofit organization with more than 1,000 employees across more than 40 countries with offices in Arlington, Virginia; Little Rock, Arkansas; Sacramento, California; Manila, Philippines; Nairobi, Kenya, and project offices around the world. 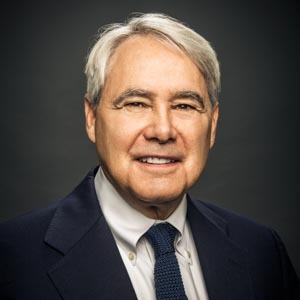 Van Wyck is the former chairman of the Arkansas Community Foundation and board member of the University of Arkansas for Medical Sciences Foundation. Van Wyck served in the United States Marine Corps from 1967 to 1970. As a lieutenant and infantry platoon commander in Vietnam, he was awarded the Bronze Star and two Purple Hearts. Van Wyck received an MBA from Harvard Business School in 1973 and an AB degree from the University of North Carolina in 1967. He was awarded the University of North Carolina Educational Foundation Award. Van Wyck has offices in Acampo, California, and Tuckerman, Arkansas. He and his wife, Mary Lynn, live in Tuckerman. They have two grown children — Bronson and Mimi — and two grandchildren.